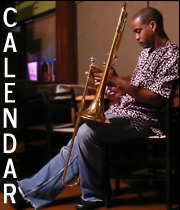 Reginald is from the island of Dominica, began his musical career at age 12, at that time he chose the trombone as his tool of expression with the goal of becoming a great trombone player. To this end, he has studied at Interlochen where he was exposed to the virtuoso trombonist Christian Lindberg. 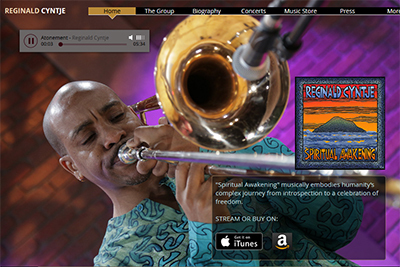 In 1993 Reginald began studying jazz trombone at Berklee College of Music. 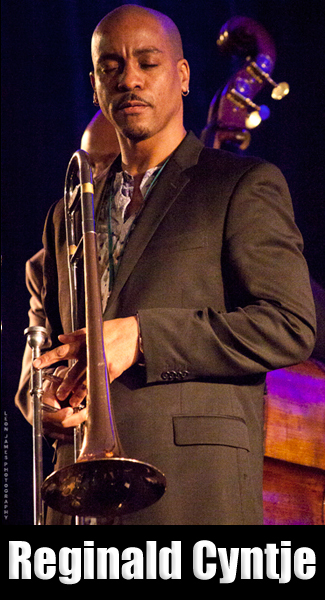 During his time at Berklee Reginald performed with well-known international artists. Since that time, he has performed and/or recorded with world renowned musicians/ poets which include Nasar Abadey, Wayne Andre, Amiri Baraka, Ron Blake, Michael Bowie, Herman Burney, Marc Cary, Benito Gonzalez, Amin Gumbs, Michael Hawkins, Buck Hill, Ron Jackson and Illinois Jacquet to name just a few. Reginald has released three albums. Fredom's Children: the Celebration (2011), Love (2013) and Elements of Life (2014). 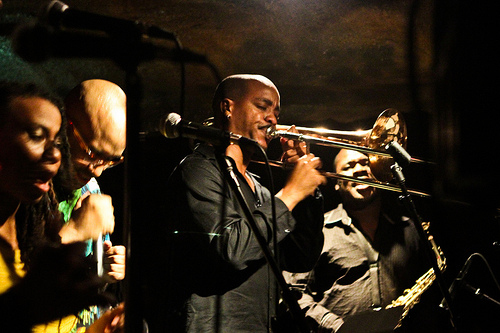 He is currently leading The Reginald Cyntje Group and working as a sideman in other jazz, Latin, and Calypso groups. 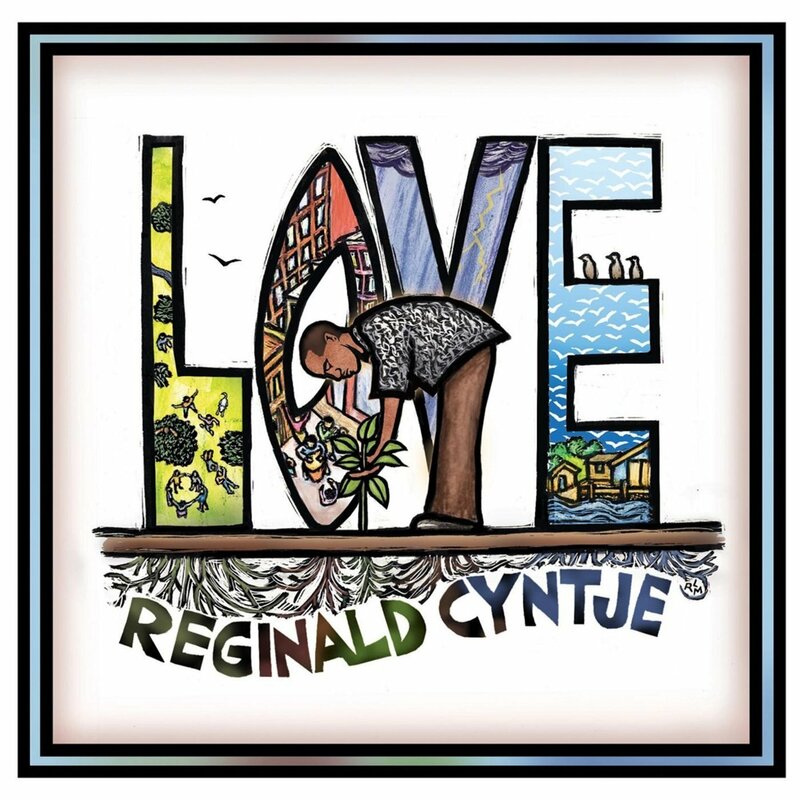 "Reginald Cyntje (born in Roseau Dominica and raised on St. Thomas, USVI) is a trombonist, educator, producer, and composer. Growing up in the US Virgin Islands (USVI), he was steeped in the rich cultural music known as Quelbe (the official music of the USVI). Quelbe was Reginald’s introduction to improvised music. With cultural heritage at the forefront and social justice as the message, this passionate performer has “a deep-seated knowledge of Caribbean music and culture which has settled into his jazz trombone playing” (NPR Music). Cyntje has recorded four albums as a leader. 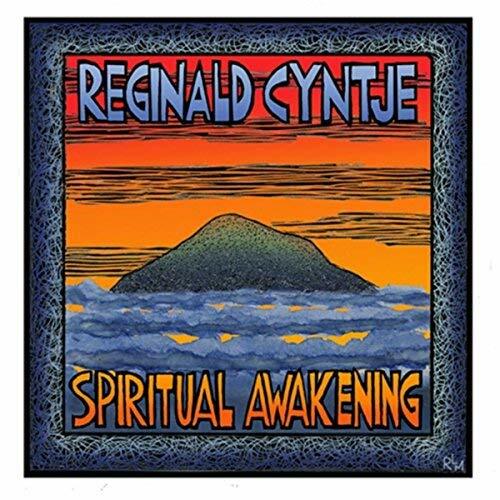 Spiritual Awakening, his most recent album (2015), musically embodies humanity’s complex journey from introspection to a celebration of freedom. 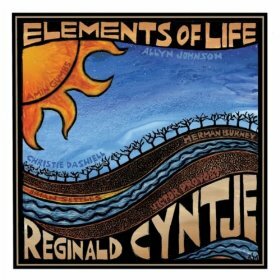 Elements of Life, released in 2014, features pianist Allyn Johnson, bassist Herman Burney, drummer Amin Gumbs, vocalist Christie Dashiell, steel panist Victor Provost, and saxophonist Brian Settles. The album explores the connection between the human being and the elements that nurture us. In 2013, Cyntje released his sophomore album simply titled Love. The Washington City Paper said Love “is thoughtful and surpassingly gorgeous.” After debuting at #3 on the CMJ Jazz chart, Love made it to #10 on the CMJ Top 40 Jazz Chart. The album is a tribute to the human spirit. 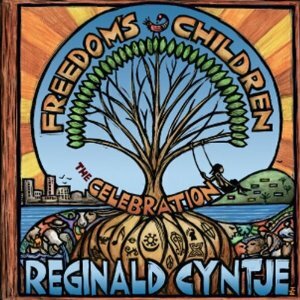 His first album, Freedom's Children: The Celebration, was released in August of 2011. The album quickly became a favorite among fans with hits like Queen Mary, Children’s Parade, Daybreak and Peace and Love. RC has performed with Amiri Baraka, Dr. Billy Taylor, Illinois Jacquet, Martha Reeves and the Vandellas, Dion Parson and the 21st Century Band, Nasar Abadey, Ron Blake, Michael Bowie, Herman Burney, Paul Carr, Marc Cary, Sharón Clark, Cyrus Chestnut, George Duke, Benny Golson, Sean Jones, Tarus Mateen, Jason Moran, Steve Novosel, Johnny O'Neal, Nicholas Payton, Victor Provost, Rueben Rogers, Vanessa Rubin, Terrell Stafford, Gary Thomas, Tim Warfield, Larry Willis, Warren Wolf and many other extraordinary artists. As a trombonist and educator, he's toured the United States, Europe, South America, and the Caribbean. On his recordings, you can hear the sounds of calypso, reggae, and other African-influenced genres which now give his music a unique flavor. Columbia and received his master’s degree at the University of Maryland. He is also a veteran of the US Army (389th Army Band). Currently, he leads his own groups and works as a sideman in numerous bands. He is also the founder/owner of Jegna School of Music, LLC, a school that provides music lessons, workshops and mentoring concerts for intergenerational students; the founder and creative director of Cyntje Music, LLC, a one-stop music boutique that includes booking, curating and assisting artists; and a professor of music at Montgomery College and Prince George's Community College. Cyntje has also worked with Jazz at Lincoln Center's "Syncopated Leadership." Cyntje is the author of Stepping Stones: 15 studies in improvisation. The concept of his music ministry is to spread love, peace and social justice with each expression."